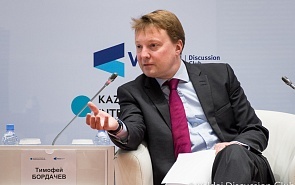 On May 10-11, the Valdai Discussion Club holds in Astana the 2nd Russian-Kazakhstani expert forum. The Kazakhstani organizer of the forum is the Kazakhstan Council on International Relations. In the photos: Panel: New Outlines of Cooperation in Central Asia and Closing.